Riverdale Season 2: What Has Graham Phillips Been In Before? So THAT'S where you know him from. This week, Riverdale fans were introduced to Veronica's ex fling, Nick St. Clair. Things are off to an inauspicious start for Nick and the gang as he is revealed to be a pretty bad dude. If the actor who plays Nick St. Clair, Graham Phillips, looks familiar to you, that's because he's been acting in film and television since 2002. Here's where you may recoginise him from. In his earlier acting days, Graham played the middle son in Evan Almighty. Graham appeared in season 3 episode 12 of White Collar as a Evan Leary, a student at a prestigious prep school where money has mysteriously gone missing. Graham appeared in Netflix's 2016 EDM film, XOXO alongside Modern Family actress Sarah Hyland. You probably saw Graham in Netflix's 2016 movie, XOXO. Graham played Ethan, one of six strangers whose lives collide at an EDM festival. 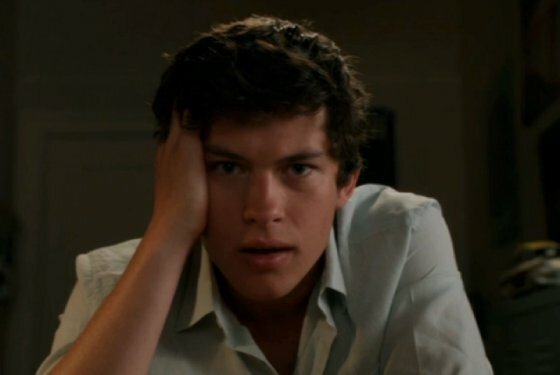 But your best chance of recognising Graham Phillips is as Zach Florrick on The Good Wife. Graham's role on The Good Wife couldn't be more different to Nick St. Clair. He played the respectful son of Alicia Florrick who definitely wouldn't be caught doing bumps of "jingle jangle" at the "five seasons". Zach was a reoccuring character on the show, appearing in 76 episodes of the Good Wife's 7 season run. According to IMDb, Graham Phillips is slated to appear in 3 episode of Riverdale this season. Graham may not have much experience playing a baddie, but he seems to be nailing the "bad guy" thing on Riverdale so far.